Hi Lidia, I have just updated the article to include more info on Diana Cream. Unfortunately, I could not find a recent study confirming Diana Cream’s mercury content. However, in April 2009 the same cream (manufactured in Beirut, Lebanon) was denied importation into the US. I think that amira cream may have mercury can you please check and also what about the monobenzone powders that come from asia….i have been using a combination the two and I have been hospitalized for kidney damages, can you please let me know if these agents are responsible?? Hi Shanon, I’m very sorry to hear about your kidney damage. I hope you’re recovering. 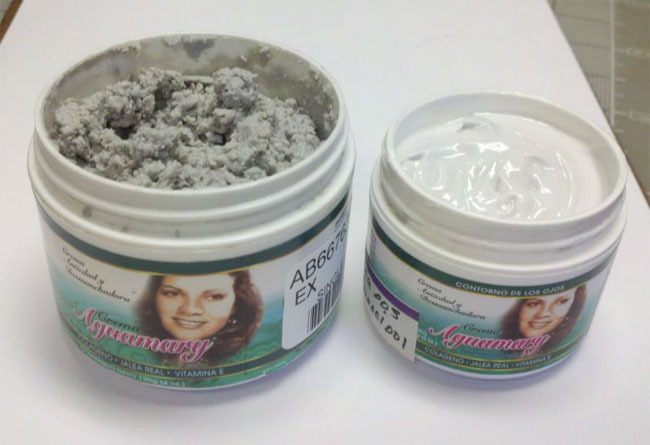 1) As for Amira Cream, there are a few similar sounding products which can create confusion (perhaps this is deliberate?). Source: Kenya Bureau of Standards (KBS), a branch of the Kenyan government. 2) I would be very suspicious of “monobenzone powder” that’s sold in the raw or DIY-mixed form for several reasons, regardless of the source (China, India or elsewhere). Their manufacture and sales are unregulated, making any purchase extremely high-risk. If you still have the monobenzone powder, you might be able to get it tested at a lab so you’ll (and your doctor) will know for certain what caused your illness. 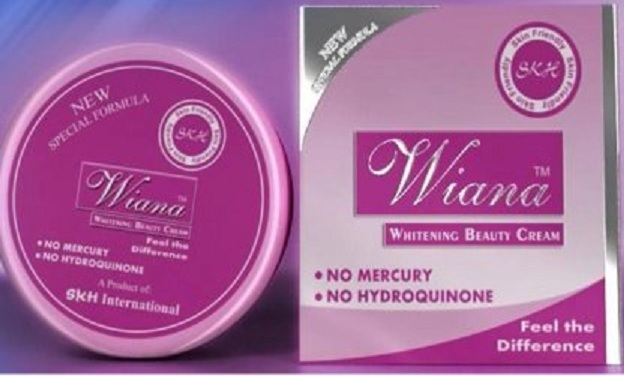 I have been using Creme Diana for more than a year now and did not know that it was a cream used for bleaching the skin or that it has mercury. My mom gave me this cream because she knew I had dry skin and thought it might help (which it did). My skin colour did get brighter (just notice recently), but I could care less of my skin colour. I tried getting off this cream, but every time I do my face breaks out into hives, becomes hot and red/itchy and nothing else seems to calm my skin (I’ve used facial cleaners and creams that are meant for super sensitive skins, etc. such as Avene) and I end up going back on the stuff because I have work and can’t have my skin looking crazy. My skin gets super allergic to anything else. Please help? Have you heard about these side effects? And what’s the best course of action/solution to this? Do you know if luzza yusra herbal cream contains mercury? Hi Shanon, thanks so much for your kind words. I’m always happy when people find the information here useful.I’m happy that you’re taking the first step in finding out what could be the cause of your pain. I’m also very sorry to hear about your pain and our health troubles. Please know that mercury chelation and a gradual recovery IS possible. In fact, something as simple and everyday as our diet can slowly reduce excess mercury and other poisons from our organs. p.s: Having skin issues myself, I can completely understand the embarrassment you describe feeling and perhaps even the loneliness of thinking that you’re the only person in the world with such troubles. But this is actually far from the truth. Even though this might offer little comfort, knowing that our situations isn’t unique might help a little in making our journeys seem a little less daunting. 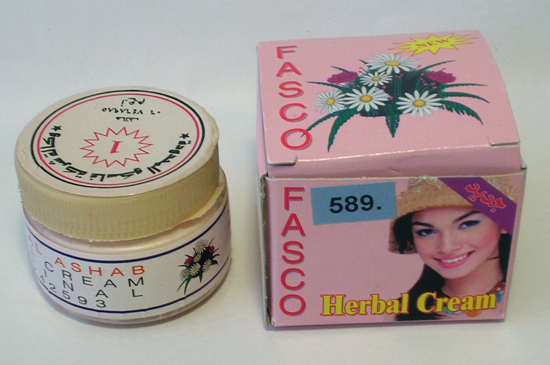 hi hessa i was wondering if you know ,anything about the new yusra herbal cream they are, currently marketing as safe.it looks allot like fasco herbal cream.it seems suspicious to me that one can see results in a week.considering is meant 2 be herbal. Hi laila, I couldn’t find any information about Yusra Herbal cream beyond the packaging and the marketing claim. I couldn’t find an ingredients list either. By the way, it’s very easy for manufacturers to use an existing cream, put it in new packaging (add a ridiculous marketing claim) on the internet… no one is catching what they do or testing the products. A good rule of thumb is that natural ingredients will not give such a drastic skin lightening effect in one week. 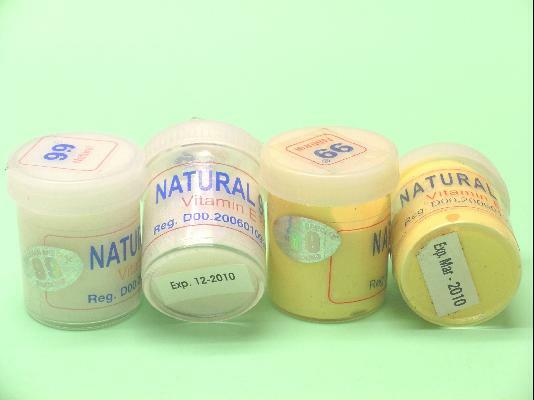 All-natural methods will work slowly and gradually over at least a few months — so if something is working really well (lightening your skin by more than several shades in a month), it will probably have some chemical compounds in it, regardless of whether or not the seller chooses to disclose it honestly. what if i stopped using it? 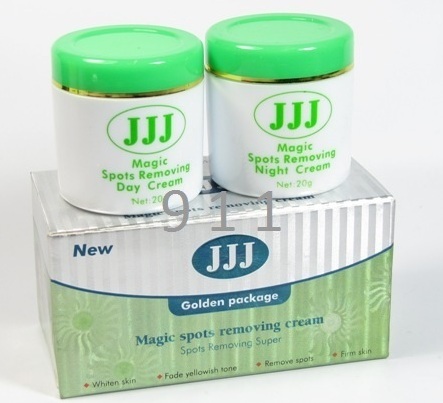 ive been using jaoli cream for a year.. if i stop how can i be sure or how can i remove mercury level in my body..
im scared about the mercury level and the effects.. how can i remove or what wil i do… to make sure im stil safe..
Hi Nic, I am working on updating the article with some information about mercury removal. I hope this will help you and others. 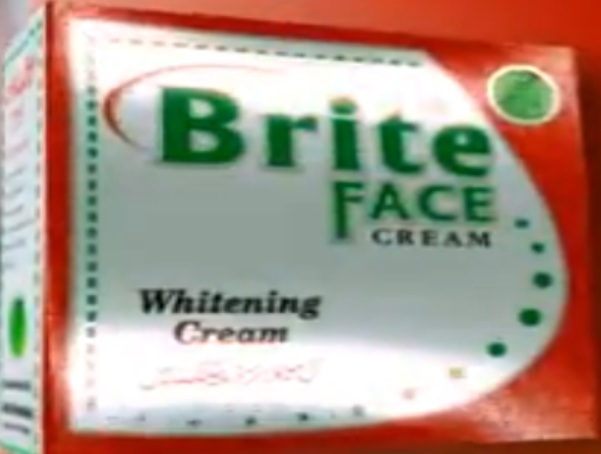 Hi Bindu, there’s no ingredients list available for ‘St Dalfour Whitening Cream’ and that alone sets off alarm bells. – The website looks very dodgy. The cream bottles look like glass jars. – The cream is only sold online. This is the favorite method of folks trying to evade product testing, manufacturing/export regulations and the authorities. – There is an actual licensed brand called St. Dalfour, which is based in France and sells fine foods (jams in glass jars). 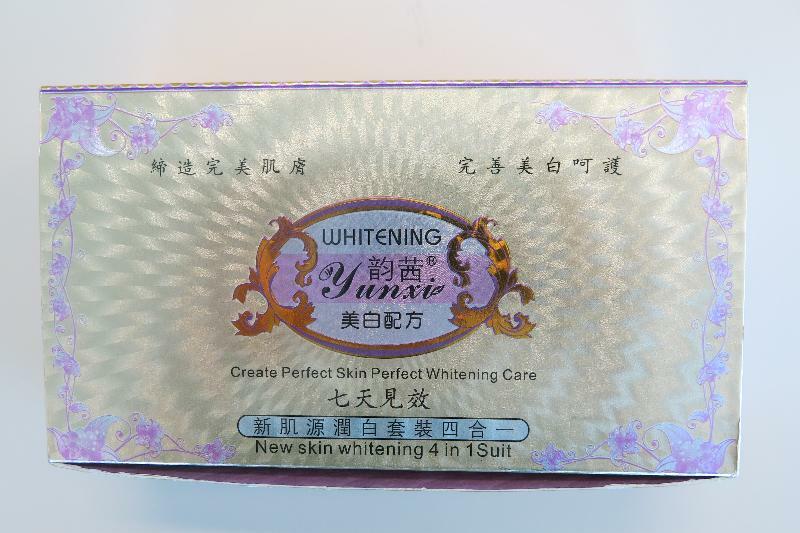 It is completely unrelated to ‘St Dalfour Whitening Cream’, so I guess the name and packaging choice was the cream seller’s rather strange attempt at making themselves look and sound European/prestigious, and therefore legit. Unfortunately, this method is quite effective. The seller of the cream has also priced his/her products at a small premium, supporting the illusion of “it must be good if it costs this much”. – There is an alarming absence of basic information about the company (if it is a company, it could very well just be a few people doing a home-based business) and its products: no ingredients list, no company contact information, no business registration number, no contact no, no address, no mention of this company and product outside of skin lightening forums and other dodgy sales sites. Based on all the above, I would advise you to stop using the whitening cream immediately, at least until you can get more credible information about it. I have family and friends who’s been using this St. Dalfour whitening cream and it seem to work wonders but this product is very oily and like you said there’s no ingd. on the jar it makes me scared to. is there anyway you can test to see if there’s any mercury in it? Hi, i’ve been using st. dalfour for over a year now and im amazed at its effects. however, just this week, a friend from BFAD (Bureau of Food and Drugs in Philippines) informed me that they recently tested it and it was found to contain 12.2% mercury. I’m not sure how this translates to “ppm.” I am still looking for an official statement/info from BFAD re this, because im really reluctant to stop using it (since it’s so hard to find a cream that works for my skin! ), but i don’t want to compromise my health at the same time. If any of you guys find something re this, do let me know. Hi, thanks for sharing. 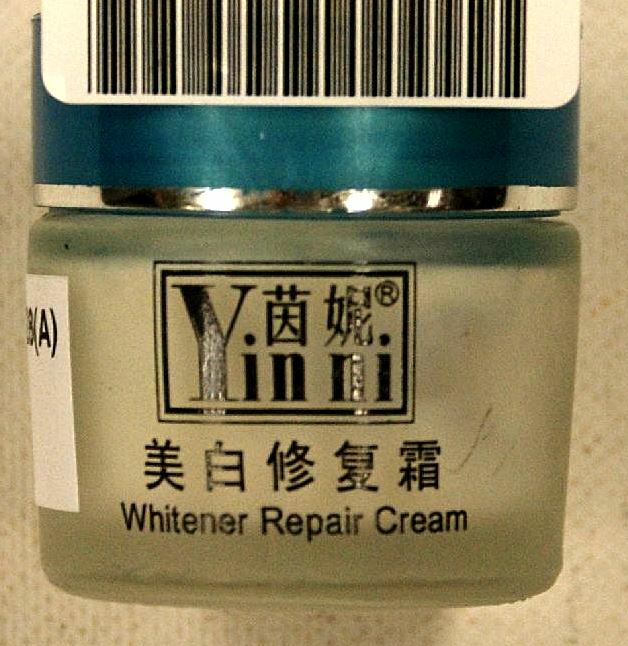 There is almost no info on this cream, which is quite worrying IMO. Hi Hessa, I was wondering whether you could recommend any herbal creams other than the yusra herbal cream that could lighten the face and hands. I have tried several methods and nothing has been helping. I recently started using Dermaline cream and it really worked. I read all the warnings about this cream after I used it.I know it contains Ammoniated mercury 3% if I used it for about a month do you think I my be endanger? Should I see a doctor? really? diana stalder products have mercury? sh1t! will it kill me? Hi, a ‘clove’ is just one segment. The whole thing is a ‘head’ of garlic. Do you know that ”espharma movate crem” is safe?? Hi, very useful information. Thank you. Have you ever heard of Robisis Fade-Out Day & Whitening Cream ? They are from Thailand. I’ve been using it for about 2 months. 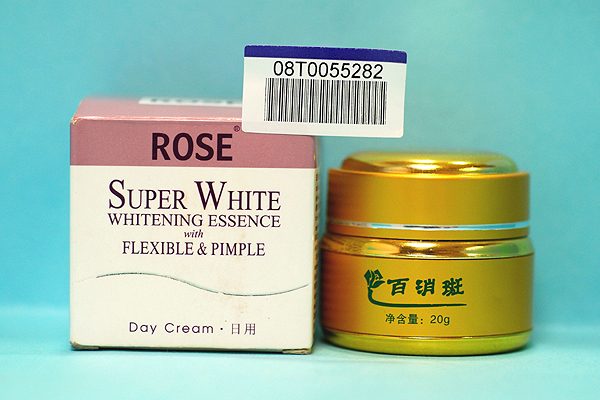 Now I’m worried because the color of the cream is yellow and the packaging is like the Rose Super White Whitening Essence. How about JJJ whitening? any feedback if it has mercury? I’m using Cing Cing cream for acne and Blemishes developed by C. M. Cosmetics Co. Ltd. but i don’t know if it is the same one that you have listed. So can you upload a photo of it? Thank you. 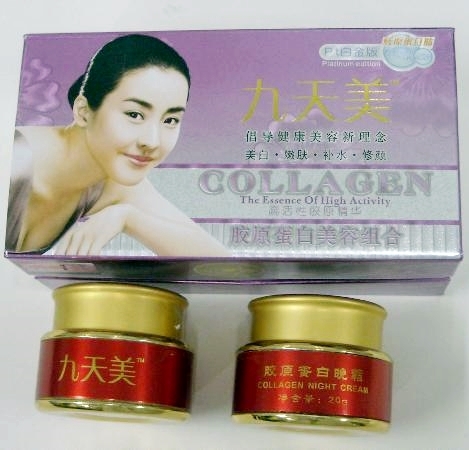 which is the good one that could be alternative for that jiaoli cream that can whitening my face without any harmful ingredients. thank you. Hi, thanks for the info above. I’m considering using a Rose Cream from Lebanon. I have adult acne which is so fruastrating. My sister has been using the cream for some time, and her face is now smooth and pimple free. I’ve been using Himalaya Herbal and St Ives products but I still get breakouts and have acne scars all over my face. I’m skeptical as one of the instructions for usage for the cream is ‘avoid sunlight during the treatment’, and I’m scared to start using it if its going to be one of those creams that leave your face scarred and ugly when you stop using it. Do you know anything about this product? Thank you for your post. 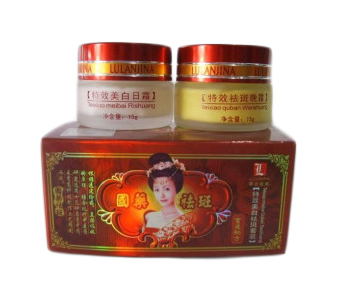 I’ve read several sites about Ly-Na pearl cream. I went to the market and there are three types of Ly-Na. One is in a pink box, one in a white box, and one in a green box. The white and green are labeled “medicated.” The pink is not labeled medicated. I’ve read one Ly Na product is mercury free. Do you know for certain which one?? I just bought a cream called “promina glaxo cream plus ginseng” its website said no mercury, but it dried up my pimples after the first application, I’m worried. 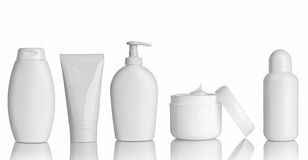 Is St. Dalfour cream has also a mercury content and included in banned products? i want to know the same thing.i am so reluctant to stop using this since it works for me!but every time i apply it…i cant stop thinking about the unknown ingredients and am scared of its long term effects.i need actual proof that st. dalfour cream is bad.please can you answer soon!thanks..
it has mercury of 12.2% but i’m not sure how much in ppm…. It has been officially banned by FDA. Saw it on the news, and although they labelled it as St. Dalfour from Tokyo, it looks exactly like the Dalfour Ive been using which allegedly came from Kuwait, package-wise. the website doesn’t work but is it really bad if i keep using it? There are a few articles up now. A quick Google search should point you to them. Here’s one more. As to how bad it is if you keep using it, I’m afraid I can’t answer that for you, paj. The information is already out there, so now it becomes a personal decision. In the end, we’re each responsible for our own health and well-being (which is a wonderful thing, and I don’t mean that in a ‘naggy’ way). Hi, Fade Out appears to be a reputable brand. The cream you mention does not contain mercury. and whats about arche pearl cream formula 1. The ingredients from arche are listed on the packing ( plant extract ,pearl powder etc.) but iam not sure . can you please tell me how much mercury is in both creams ? 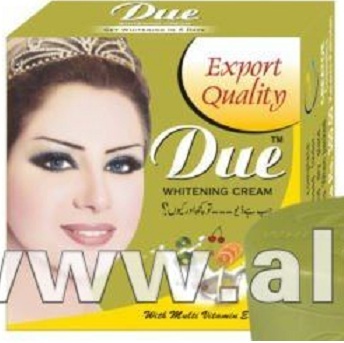 I am now using ST. DALFOUR WHITENING FROM KUWAIT. I want to be safe from using it. I need it to be checked by a certain Laboratory Testing center anywhere in Cebu City. Kindly advise the contact details if possible. hi ROLANDO T.JOSOL,, jst wanted to ask what happened from the time u stopped using st. dalfour cream..and what altenative product now u used? thnx a lot! I am now using ST. DALFOUR WHITENING FROM KUWAIT. I want to be safe from using it. I need it to be checked by a certain Laboratory Testing center anywhere in Cebu City, Philippines. Kindly advise the contact details if possible. 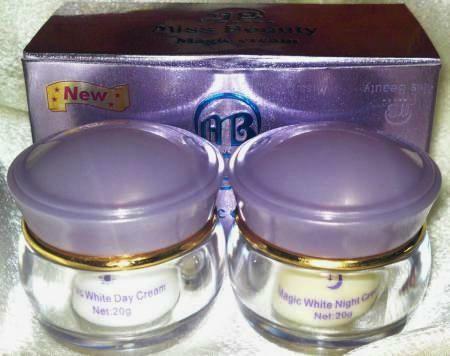 How about these products “Yanko fade-out cream @ day cream & Yanko whitening cream @ night cream” ? 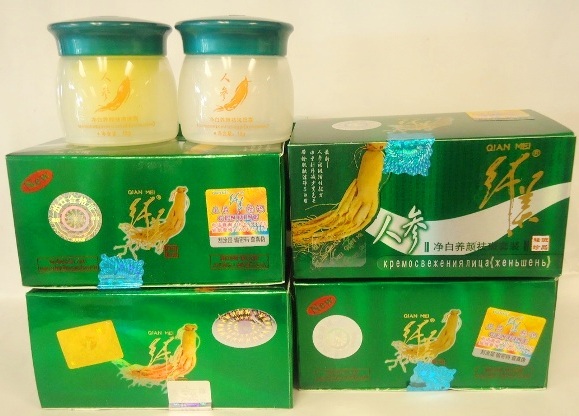 The main ingredient stated – Glyceryl Monostearate Bwarbwrry. Has anyone heard of Creme Ideal (Baroody Group) from Lebanon? I just found out that John Plunketts ‘superfade’ (AUS)has a cancer causing agent in it! I have used Creme Ideal from time to time over the past 5 years and thought I’d research the ingrediants (which I can’t find). Your site came up because of Ideal Cream. Is it the same thing? From my research the product LumnaSkin appears to be good. What do you think Hessa? im using pearl whitening detoxifying capsule (pink) made in japan did somebody heard about it? is it high in mercury content,, please reply me in my email thanks!.. I am using Yanko whitening day cream & night cream. Appreciate your information on this. HI. Im so glad i have found this site caused I am really confused by now. 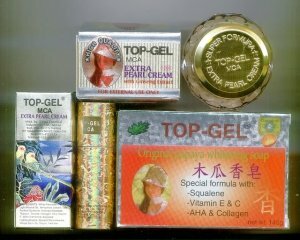 I have been using Top Gel MCA Papaya soap here in the Philippines for more than a year now and it is really good in my skin, helps me dries up break out without leaving any mark and keeps my skin smooth. But recently I’ve heard that Top Gel MCA creams got banned because of its Mercury content but it was not clear if their Papaya soap too has the same ingredient and if it too is banned. I am really confused and really thought if this would put my health at risk. I buy my this soap from a reputable mall in Manila and that added some real confusion thinking if it is really banned, they why would they sell it. I will be waiting for your soonest response and I will based my decision whether I would continue using this soap or not. Thank you very much. Best Regards. i,m shock when i read the side effects of the mercury, i lived in the Philippines , my skin is tan , i would like to have a fairer whiter skin, i am using (jialoli_soap anti spot)for 3 years , it gives me a perfect skin care, my skin become clear ,my pimples are gone , and white a little bit, can i ask is the jialoi soap containing mercury,poison that may cause me to sick to death? . Hi I been using (POP Popular facial cream and Halog) for couple year now, I just wonder if it mercury content and it’s safe to use. Yes, it contains mercury so beware. You can go type it in the internet and it will pop out. Hi, has anyone heard about “Deoonard Pearl cream”…?? The product is becoming a very salable product in Indonesia, more precisely through the online shop. 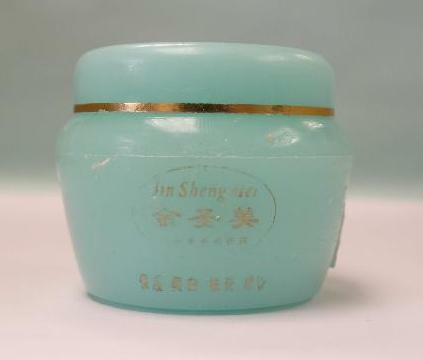 This cream comes from china / taiwan. 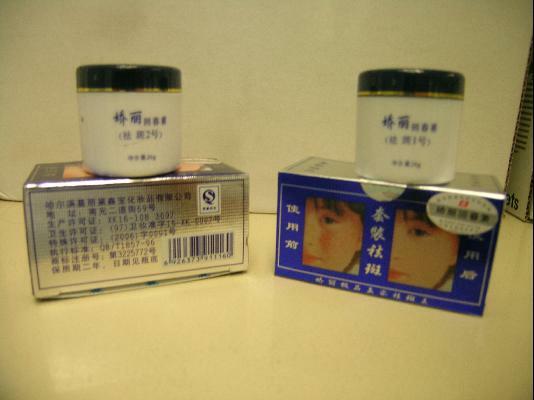 I doubt if this product is completely safe, because the effect is very fast…and, now many product from china and taiwan suspected contain mercury and hydroquinon. Can anyone tell me if papaya soap is safe or not? I’ve been using it for a while now and, it does not show any progress so I’m just wondering. Thank you. would like to know about st. dalfour cream. 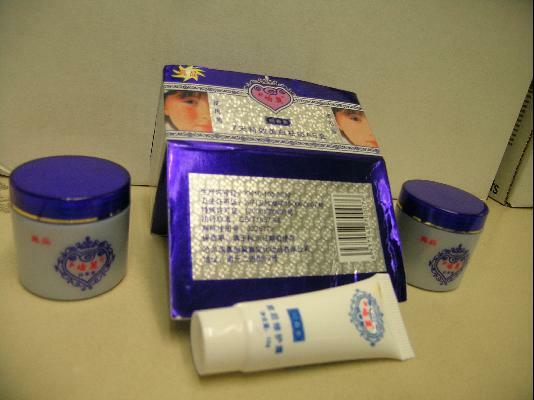 i have used magic cream before, it is the same as the st dalfour brand now, they changed its name for fake magic cream products were already in the market. those dangerous creams that can ruin my health. i will try retin-a cream and will give you feedbacks. i have done research and this seems to be the solution to the problem. The effects of mercury are very subtle, but it’s cumulative which means it builds up over time. The adverse effects may come much later, and by then, it might be too late. Once absorbed by your body, it practically never leaves. 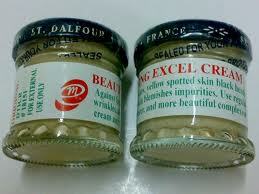 i’d like to ask sna if anong nagyari after you stopped using st. dalfour cream,, is there any bad effets on your skin? I use this Lightenex cream from Pharmaclinix UK. 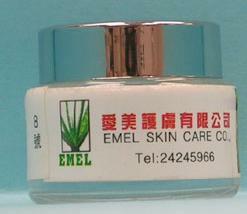 It has all ingredients listed mostly as extracts of plants. What do you guys know about this product. The company seems to be trustworthy to me……. 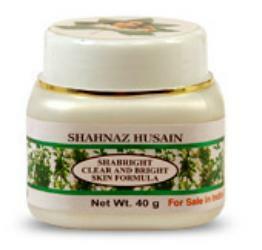 Dear HESSA, ITS REALLY WONDERFUL SUGGESTIONS REGARDING SKIN CARE. 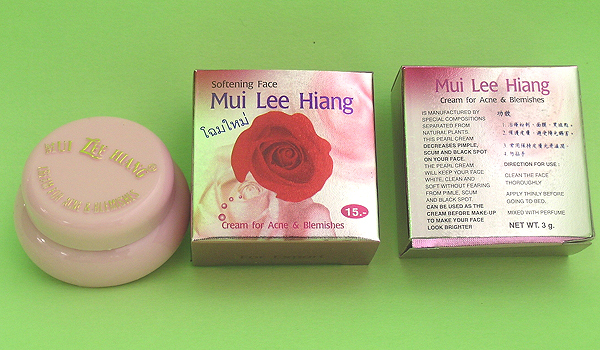 I JUST WANA ASK THAT WETHER ARCHE’ PEARL CREAM FROM THAILAND FORMULA 1 IS GOOD FOR SKIN FOR NOT? DOES IT CONTAIN MERCURY OR ANY OTHER SKIN DAMAGING ELEMENT? 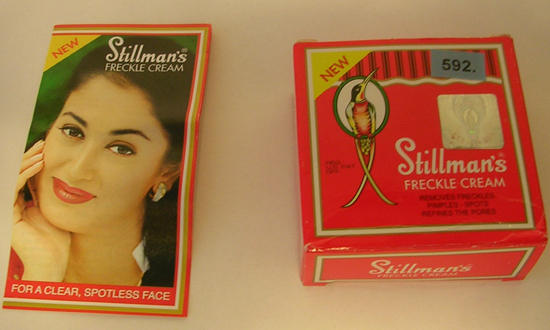 MOREOVER, IS STILMAN BREACH CREAM (GREEN) IS GOOD OR NOT? CAN WE USE THE COMBINATION OF TWO FOR USE OR NOT? 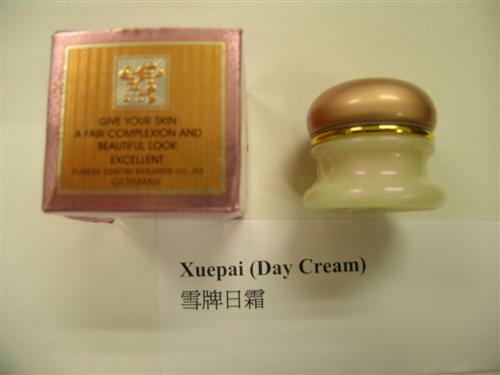 Have anyone ever tried snowlotus pearl cream?? Are they good in the longrun? and are they dangerous to use? thanks. hi,im using yoko whitening cream,im so skeptic about this product,bcuz beside from being so cheap,i dnt know what im getting into.anyways,im using it now for roughly more than a week,i have breakout,pimple,its okay,but since i have hearing about mercury on creams,i’m concerned if YOKO CREAM has mercury,.i’ve been searching on net as well if it has,but havent encountered yet.i just want to know,if anyone here knows,. thank you so much. hi,am using st dalfour whitening cream ,is good or not? NOT!.. read article above. It contains mercury. it is definitely not good.. have you stopped using it now? what happened? what product you use now?